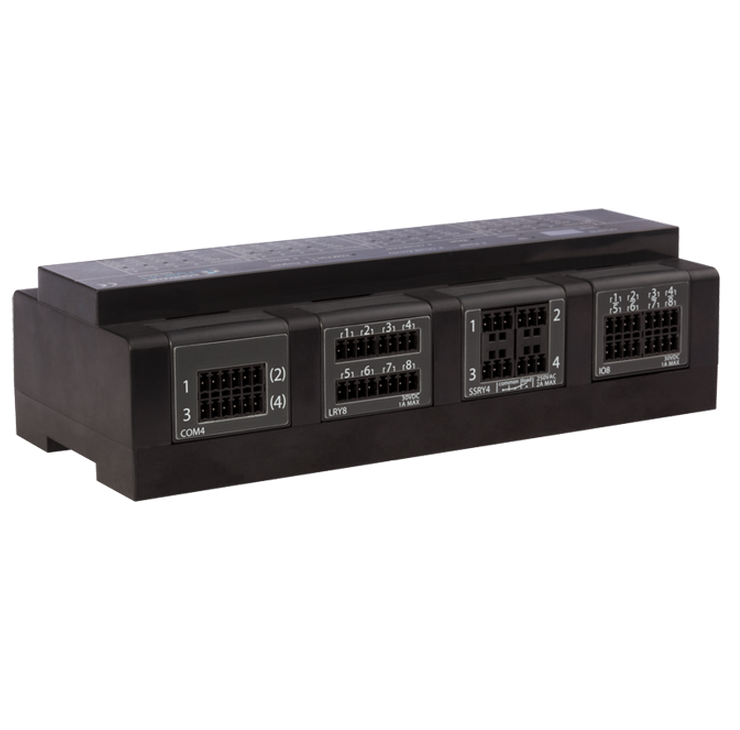 The CommandFusion LRY8 module features 8 low voltage (30V DC, 1A) relay ports, and comes with spring terminals for quick and easy, yet secure connections to external relay-controlled devices. Need more relay ports? Just add another module. 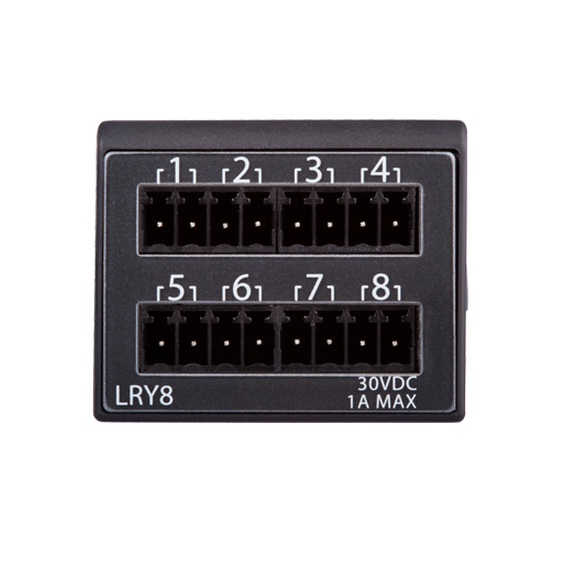 The CommandFusion LRY8 module features 8 × 30V DC 1A latching (polarized) relays. Perfect for low voltage relay control applications. Retaining their state even during power off. 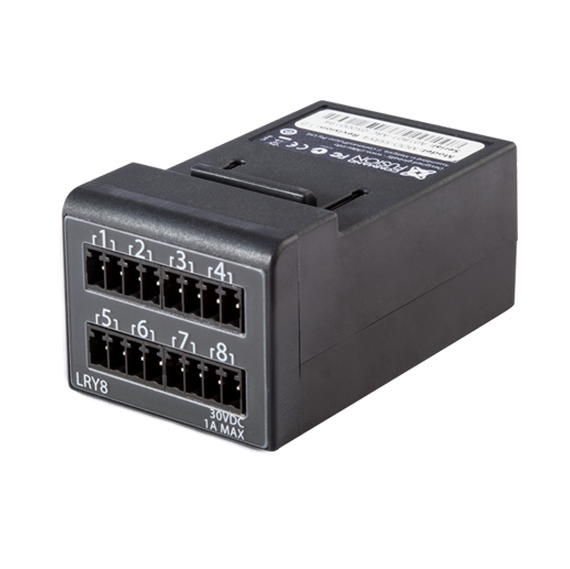 The LRY8 module features 8 low voltage (30V DC, 1A) relay ports, and comes with spring terminals for quick and easy, yet secure connections to external relay-controlled devices. 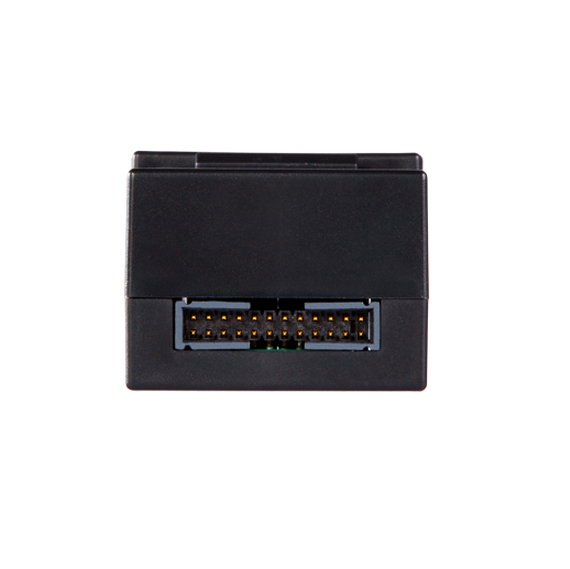 The LRY8 module uses spring terminal blocks for connections. 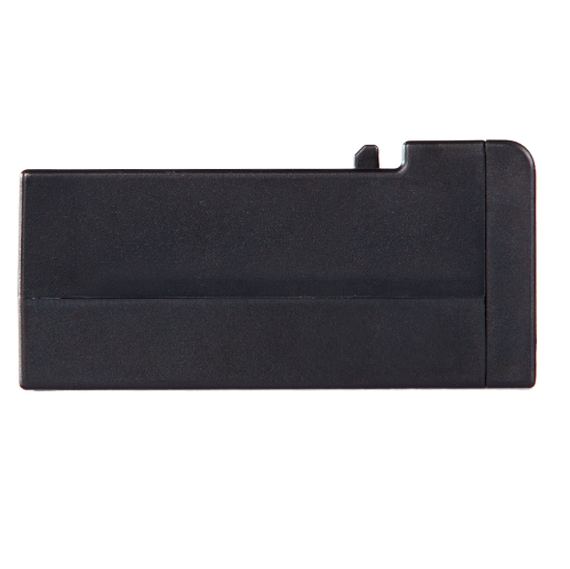 This allows for simple to insert, yet secure wiring in any installation. As with all CommandFusion products, the communication protocol is open and available to all. Relay modules have simple commands for setting the relay states on, off, toggling and pulsing. 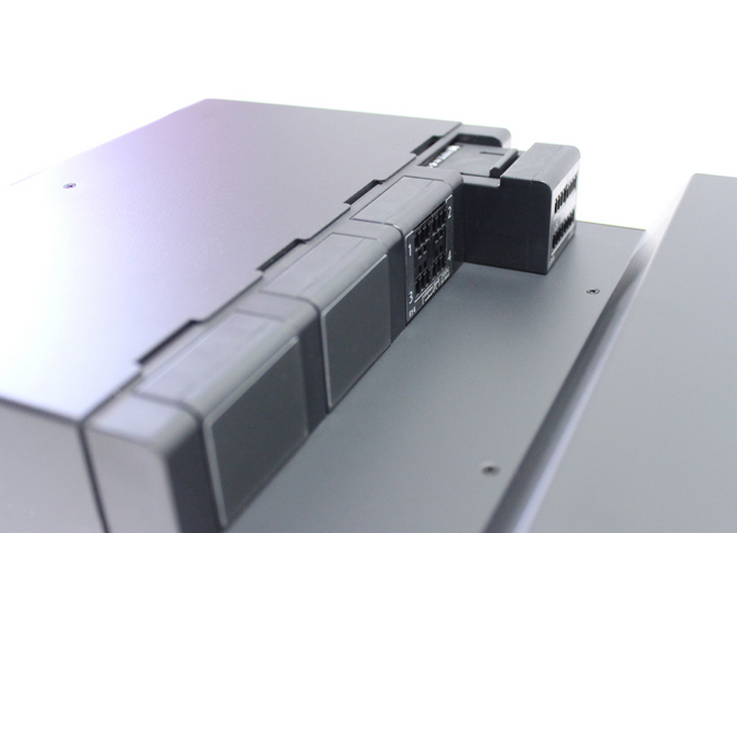 Each relay port can be configured to be in ‘open’, ‘closed’ or ‘resume last state’ on power up. As the relays are latching (polarized), they will remain in their open or closed state even when power is lost. Most relay control systems allow relays to be set on or off, and usually require high level programming on a control processor to perform anything else. CommandFusion relay control protocol includes additional functionality such as a simple toggle command (making it unnecessary to keep track of the relay state for basic toggle actions) and a pulsing command to pulse the relay closed for a time period, then opening again (of course, the time period is customisable as part of the protocol). Relay control has never been this easy!